Here at Kirk Toyota, we go the extra mile for you, so if your new or used car is in need of professional care, visit our Grenada, Mississippi, auto service center! From quick tire pressure checks to involved engine work, our certified technicians are here to keep your ride running smoothly over the years. Give our team a call at (662) 226-1181 to discuss the needs of your Toyota Camry sedan today! And since our dealership's service center is open Monday through Friday from 8 AM to 5:30 PM and on Saturdays from 8 AM to 12 PM, you can always find a convenient time to drop by for the care your vehicle requires. Be sure to let us know if you purchased your Toyota Highlander brand new from our dealership so that we can put your ToyotaCare plan to use, if applicable! 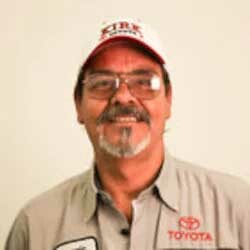 Why Service Here At Our Toyota Dealer? Many drivers in the area choose to head to Kirk Toyota when the time comes for professional maintenance and repair services, as our auto dealer not only offers Toyota Express Maintenance care but features a clean, inviting customer lounge, complimentary beverages and free Wi-Fi! Additionally, our team will complete all work with genuine car parts and we have a number of competitive service specials to put to use. Our new and used Toyota dealer has been serving the community since 1973, so if you have a vehicle maintenance need, don't hesitate to get in touch with us today! We've made it easy to request care for your Toyota RAV4; simply book an appointment online from your nearby Memphis, TN home with help from our interactive service scheduling form! Our team will confirm your appointment shortly, and upon your arrival, will go over any relevant service specials you can take advantage of before introducing you to any service specials you can put to use. Protect the performance, fuel efficiency and warranty of your Corolla sedan, schedule auto care here at Kirk Toyota today!